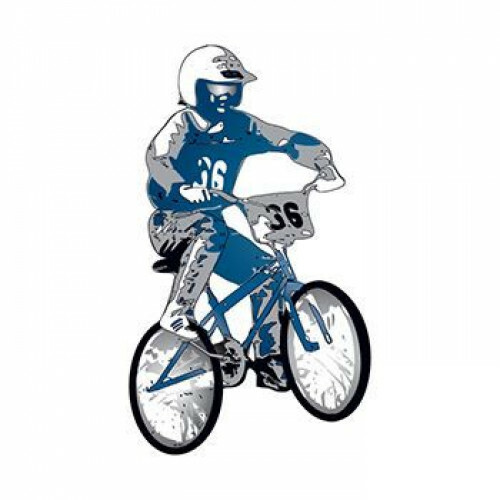 Do you know any BMX fanatics? Surprise them with this awesome temporary tattoo! It's also a great little treat to use when you are teaching your little ones about bicycle safety. The fellow featured in the tattoo is wearing a helmet, as should everyone who rides a bike. If your child's school ever hosts a bicycle safety course, bring some of these to pass out to the kids for a job well done. The blue color will appeal especially to your little boys, who will want to show this tattoo to everyone they come across. A fun temporary tattoo is better than letting them draw all over themselves with markers, right? Size: 2.0 x 2.0 in.